Alberta Native Hockey Association is pleased to announce the merger with Indigenous Sports Council of Alberta in overseeing and assisting in the development of (Team Alberta hockey teams for both the Male and Female program. Players from across the Province represent (Team Alberta at the National Aboriginal Hockey Championships, which are held every year. 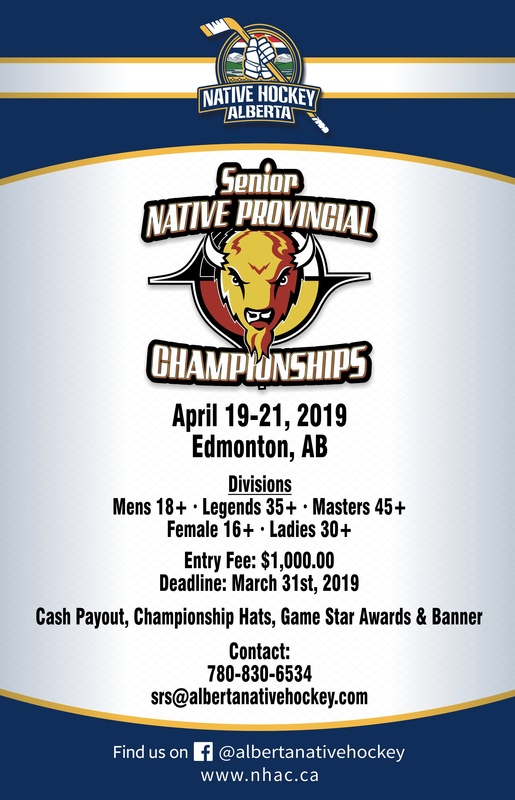 One main objective is to focus on progression of the players and starting a player database where we could monitor our First Nation Players and help make a jump to the next level.